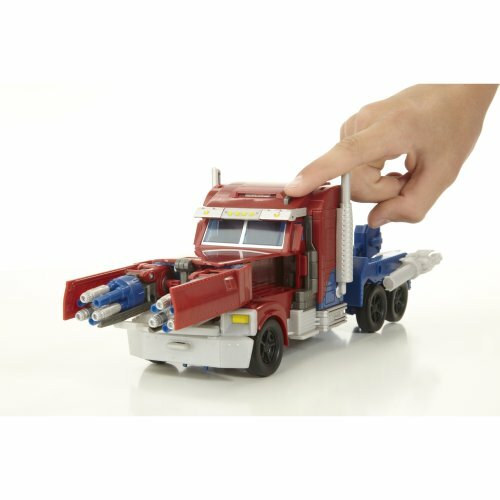 Optimus Prime. 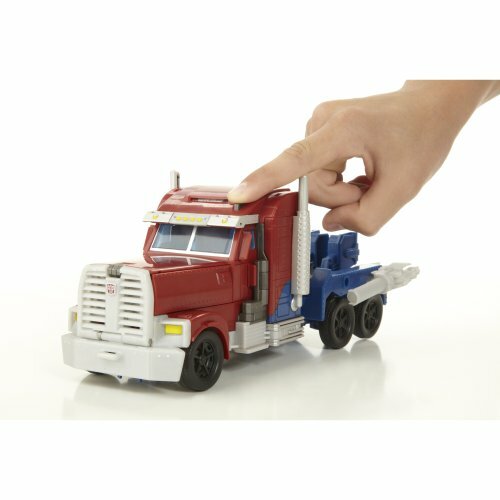 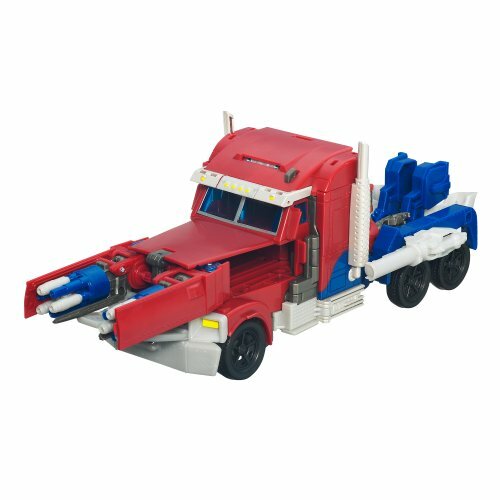 Switch between Robot Command Mode, Weaponized Robot Mode, Truck Transport Mode and Weaponized Truck Mode. 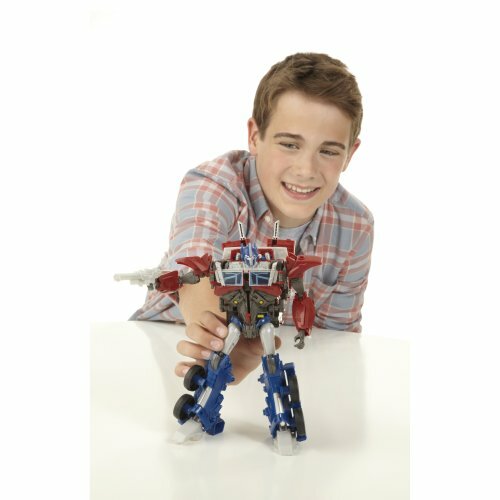 He does not deploy the full measure of his strength often, but when the fight against the Decepticons is at its worst, you can rely on the leader of the Autobots to rain fire down on the evil robots. 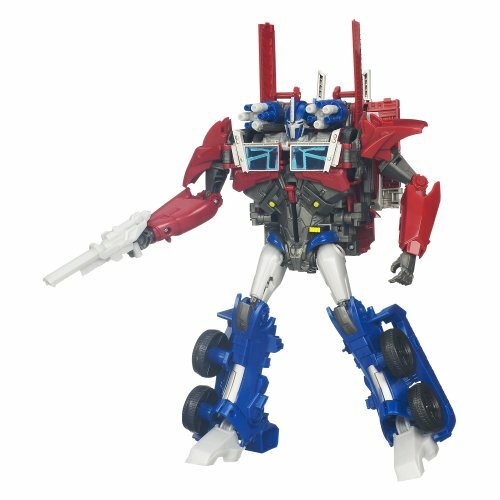 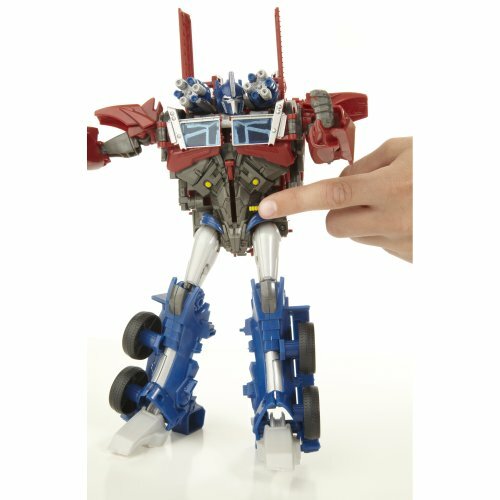 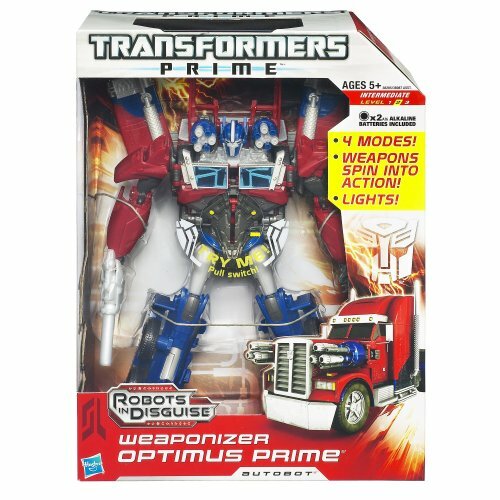 This intimidating Optimus Prime figure brings on four times the power — with 4 different modes, glowing power-up lights, and weapons that spin into action! 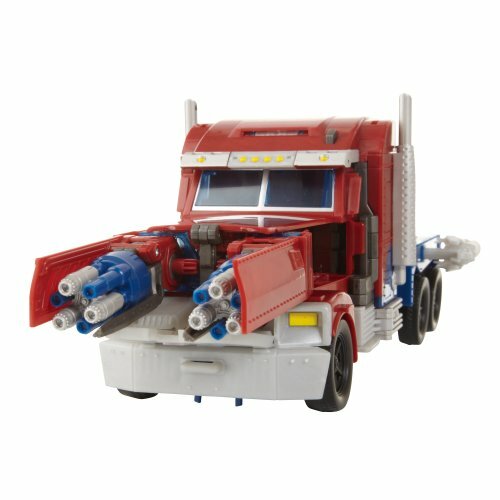 The Decepticon enemy can't possibly keep up. 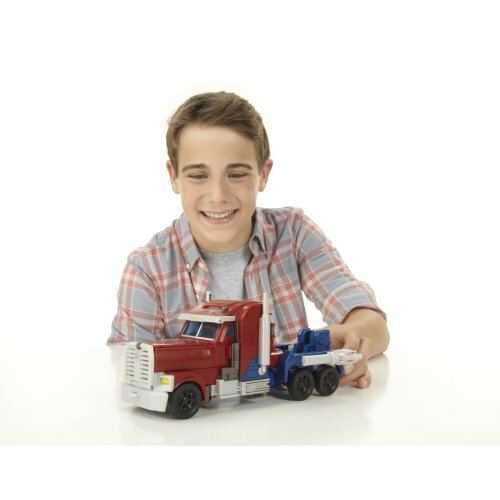 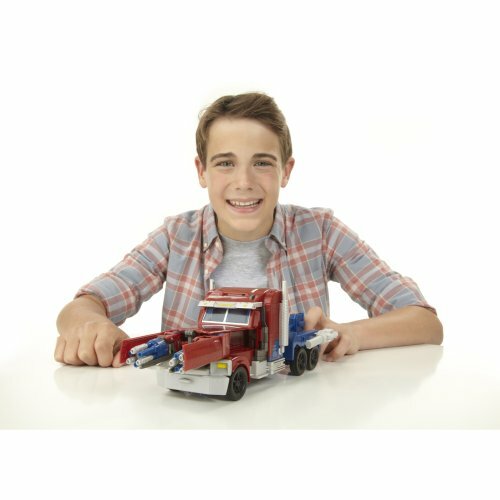 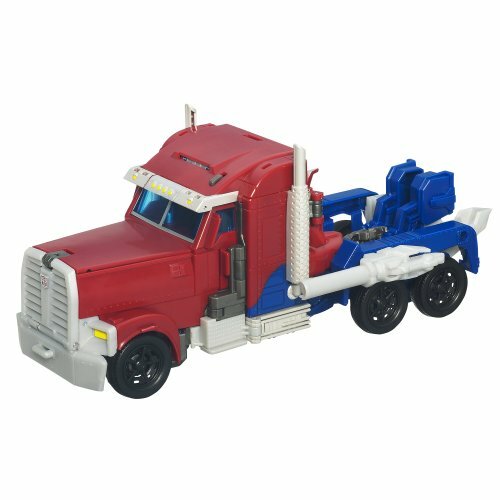 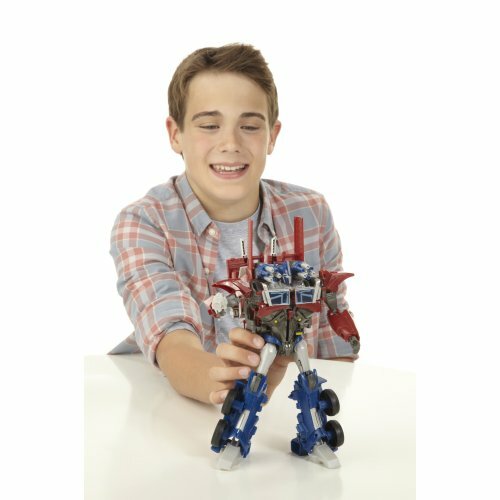 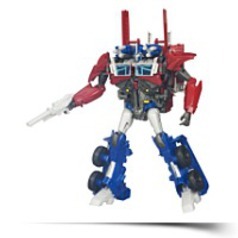 Your favorite Autobot hero comes with a blaster cannon, and his weapons deploy in each robot and automobile mode.